While Pakistan and Afghanistan are busy counting losses from the earthquake that hit Hindu Kush region on Monday, October 26, there is an increased concern on why the disaster is much more than a quake. The temblor that measured 7.5 on Richter scale claimed about 400 lives in and caused severe damage to schools, buildings and even glaciers in the mountain range. A few lives were lost in neighbouring India as well. But that is not all. 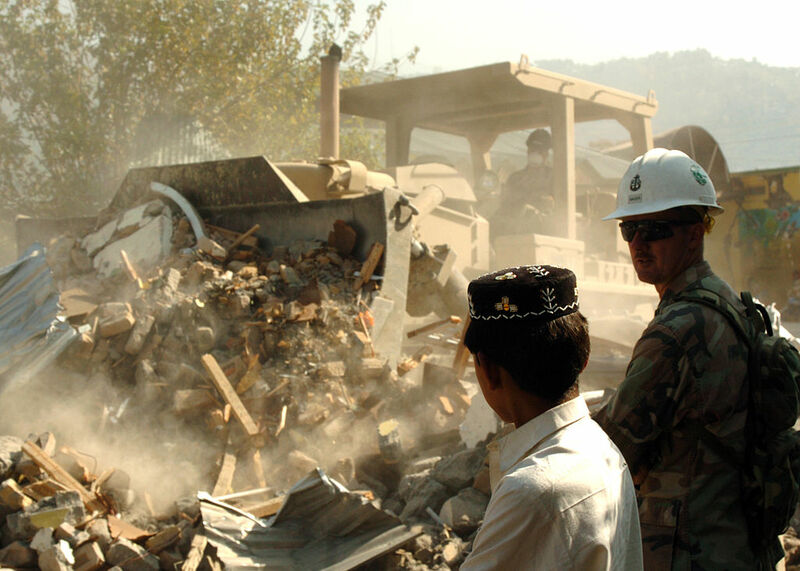 Many affected areas in Afghanistan are also conflict-ridden. According to a report published in news analysis website IRIN, in the districts of Yamgan and Warduj, and in parts of Jurm district that was closest to the epicentre, no help has been given to people. Moreover, it is difficult for the government to send survey teams into areas where the Taliban is present. Besides, the onset of winter is also expected to make relief worse for the region. “With temperatures having fallen to below freezing in the past five days, resources – such as tents – that would normally be deployed are no longer suitable in meeting the needs of vulnerable people affected by the quake,” said Janu Rao of Christian Aid. For Pakistan that lost about 300 lives in this week’s quake and saw major infrastructural damage, the challenge is different. Reports from Pakistan’s officials suggest that about 10,000 houses were destroyed by the quake. The number is about one-eighth of the 780,000 buildings that were either destroyed or damaged beyond repair in 2005 quake, and many more were rendered unusable for extended periods of time. http://www.ndma.gov.pk/new/aboutus/Earthquake2005.pdf But much of this damage could have been avoided had the government strictly enforced the building codes that were introduced after the 2005 temblor. “There has really been no effort to implement this,” an official told IRIN. A recent progress report by the country, however, states that the overall objective of the rural housing reconstruction policy in 2013-15 was to ensure that an estimated 1.3 million houses that were destroyed or damaged will be built by using earthquake resistant building techniques through grant assistance from the Government to eligible households. Contradictory to these, media reports from the country suggest that there were major concerns about building safety. “Even in the capital city of Islamabad which saw the deaths of over 70 that fateful day when a 10-storey building crumbled, building rules have not been enforced. Contractors and building companies continue to use inadequate material during construction, and despite the high risk, the government is taking no measures to prevent this wrongdoing,” says a report by Dawn.com’s Atika Rehman and also published at Deutsche Welle.